This was chosen as the official Status Fix logo. This is a collection of several Status Fix logos. 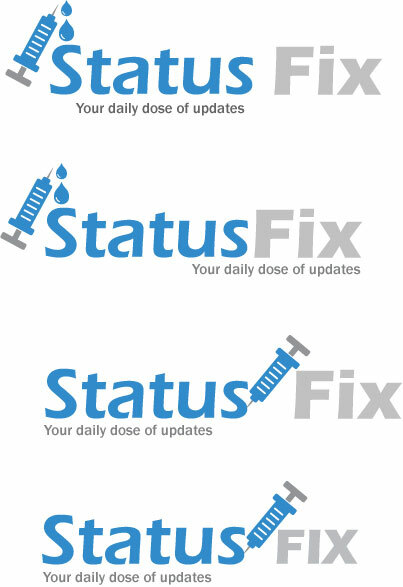 This is another collection of Status Fix logos. This is 1 of 2 mockups for Status Fix. This is 2 of 2 mockups for Status Fix. Though not complete, Status Fix is a very unique project. Out of the sites I have been involved with, this was has the most potential relating to the social networking mantra that is spread across the web in the last several years. 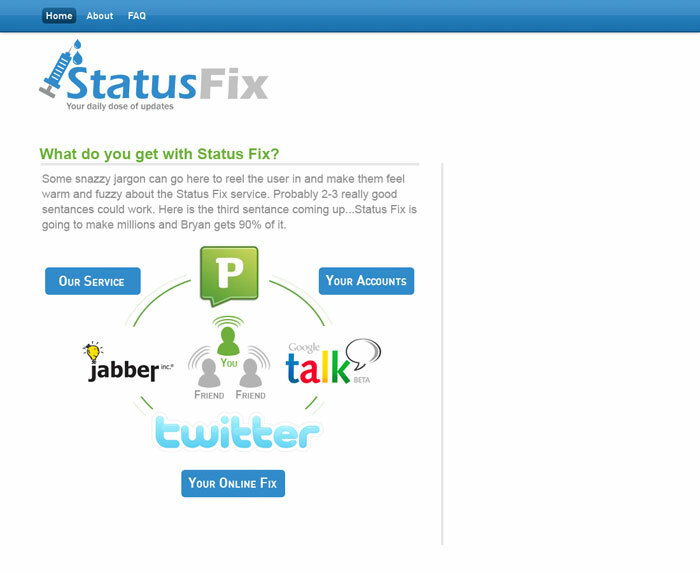 The purpose of Status Fix is to aggregate your various accounts on multiple social networks (AOL Instant Messenger, Google Talk, Pownce, Twitter, and more) so that you can display content on those sites (such as an away message) through one easy to use interface (Status Fix). The key benefit behind using Status Fix is to alert all networks your involved in with a single point message, versus logging into multiple to set the same type of message. The site is still being developed, but I look forward to seeing it grow and become going live soon. No programming was used on this project by Absolute Bica.